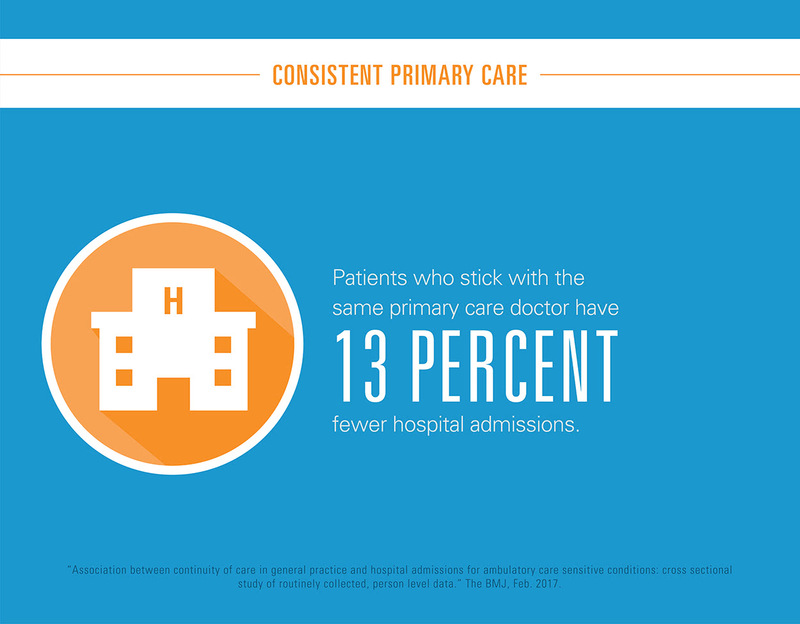 There’s mounting evidence that a long-term relationship with a primary care doctor can help prevent chronic conditions or keep them under better control. A 2017 study in the British Medical Journal (BMJ) found that older patients who stuck with a primary care doctor over the long term had nearly 13 percent fewer hospital admissions than those who didn’t have a continuous relationship with a primary care practitioner. Another study in the Journal of Pediatrics found that children with the least continuity of care were nearly 60 percent more likely to have emergency hospital visits than those with the longest continuity of care. Yet it can be hard to find a doctor who is compatible over the long term. So Highmark Blue Cross Blue Shield (Highmark BCBS) decided to marry the power of computer algorithms with the familiarity of online dating to help patients make the match. The result: Doctormatchquiz.com, an online tool that helps patients find a doctor whose approach to care matches their preferences and more easily switch to that doctor. The tool is available now in Western Pennsylvania and Delaware with plans to make it available to all Highmark BCBS markets in the future. “A lot of tools provide a lot of information that, in theory, help consumers find a doctor,” says Stacy Byers, Director of Digital Marketing for Highmark BCBS. While many health insurers list a doctor’s specialty, board certifications, phone number, address and hospital affiliations, this information can’t predict a doctor and patient’s compatibility. Here’s how it works: Highmark BCBS members go to doctormatchquiz.com and answer a series of questions about their healthcare preferences. The entire quiz takes about 10 to 15 minutes and results in a list of nearby doctors who match those preferences. Byers says about 90 percent of the site’s visitors who get to the first question after entering their zip code complete the quiz; so far, that’s about 68,000 people. If they decide to switch to one of the doctors they’re matched with, a customer service representative does the paperwork over the phone. Byers says it’s still early on, but users surveyed after taking the quiz have said the tool helped them find a new doctor or confirm their current doctor is a good match. How does the tool know the right questions to make the match?